2.5 gram traditional in-line spin lure, exceptionally good for trout and redfin fishing. 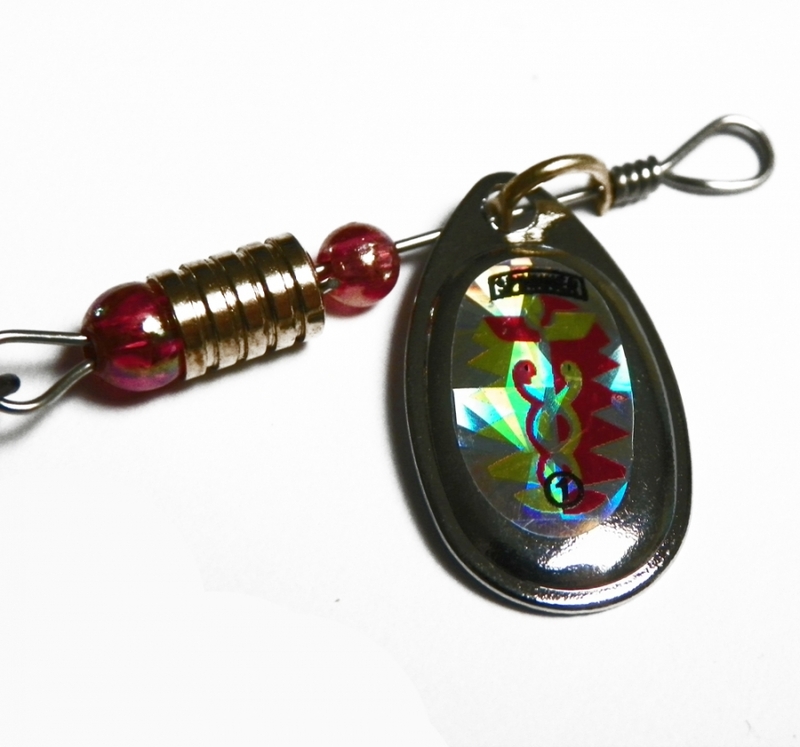 A good small spin lure that will handle spin rods with a minimum lure cast weight rating of 2 grams or less. If your spin rod does not have a lure cast weight rating, or the minimum lure cast weight rating is over 2 grams, we do not recommend using this lure. 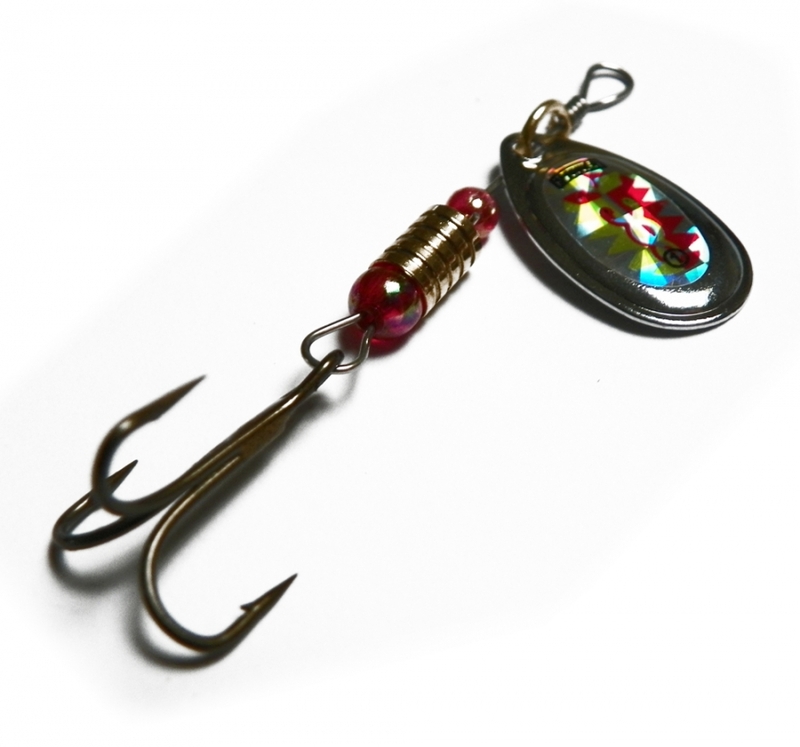 The lure blade is silver, with a design pattern containing red and Yellow printed over a reflective surface to create what is known as rainbow iridescence as the blade spins.